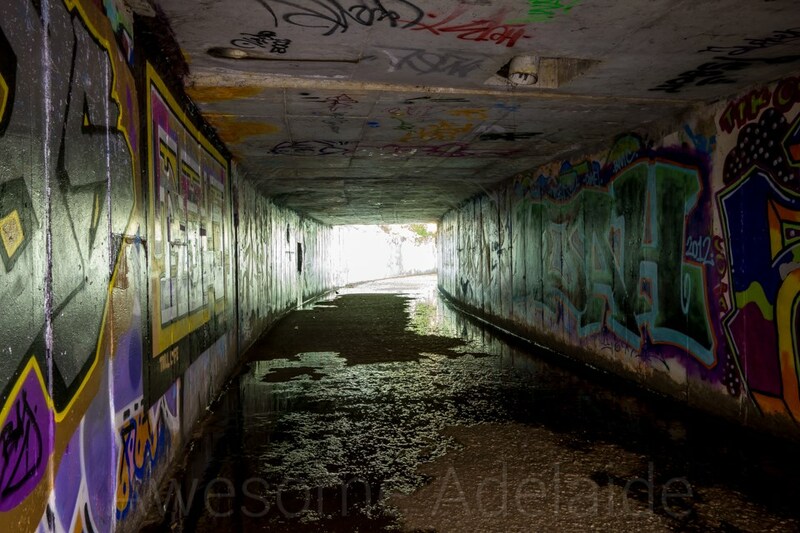 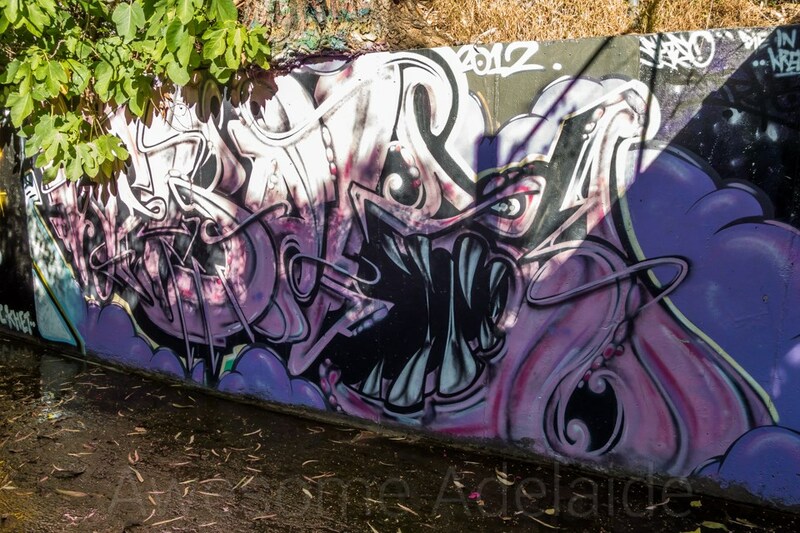 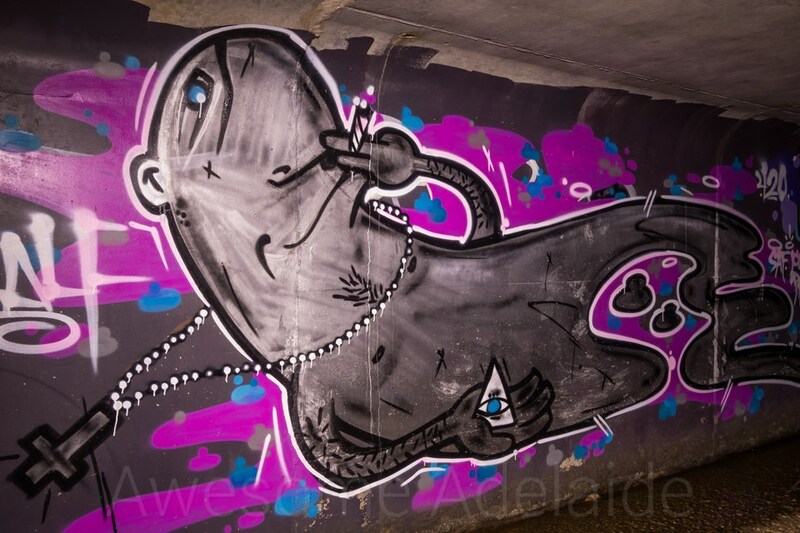 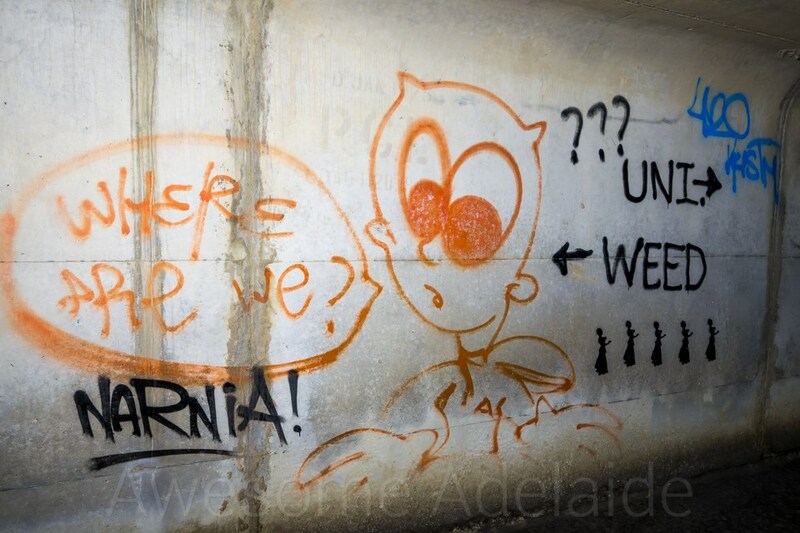 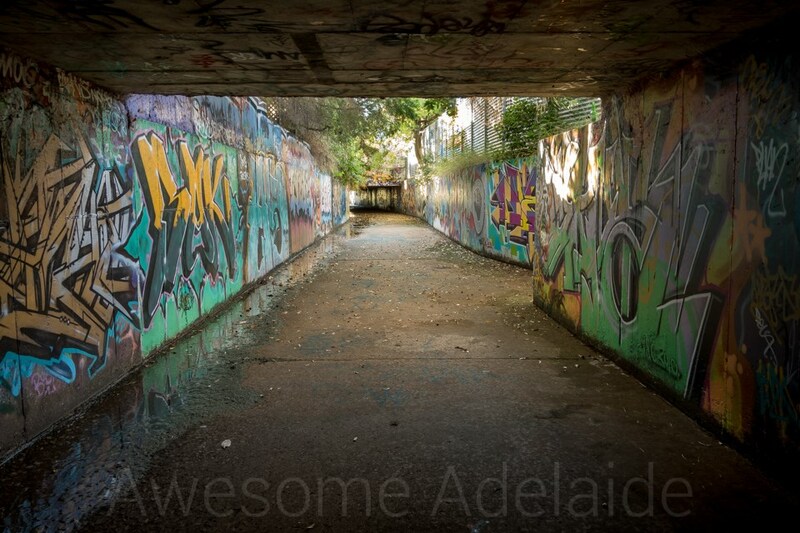 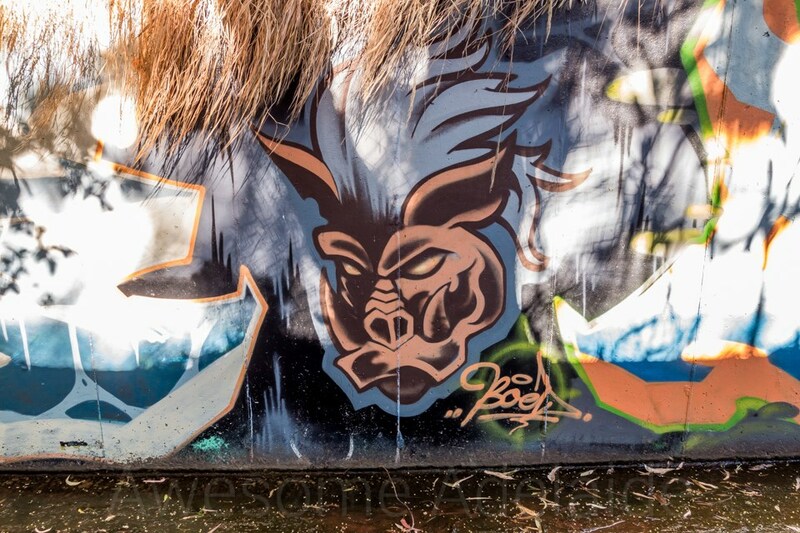 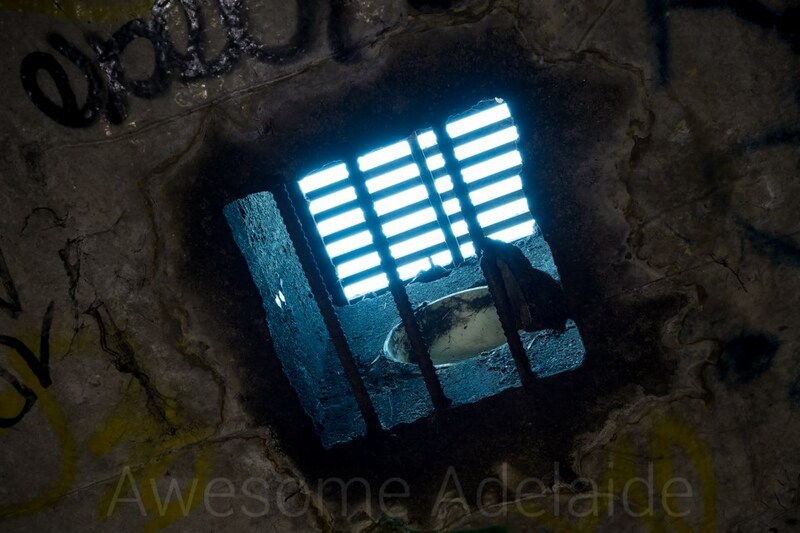 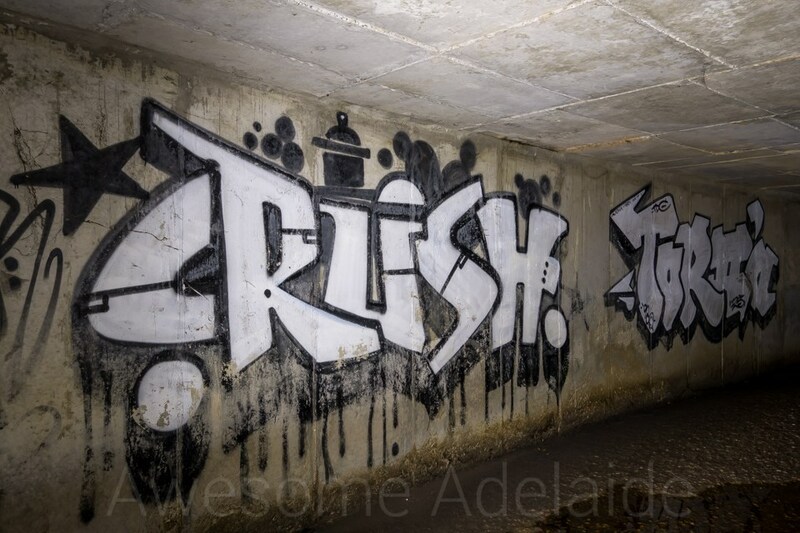 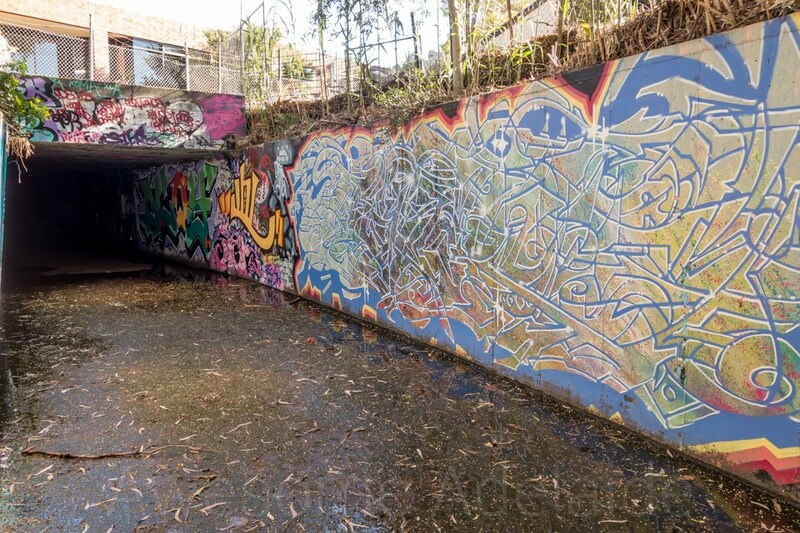 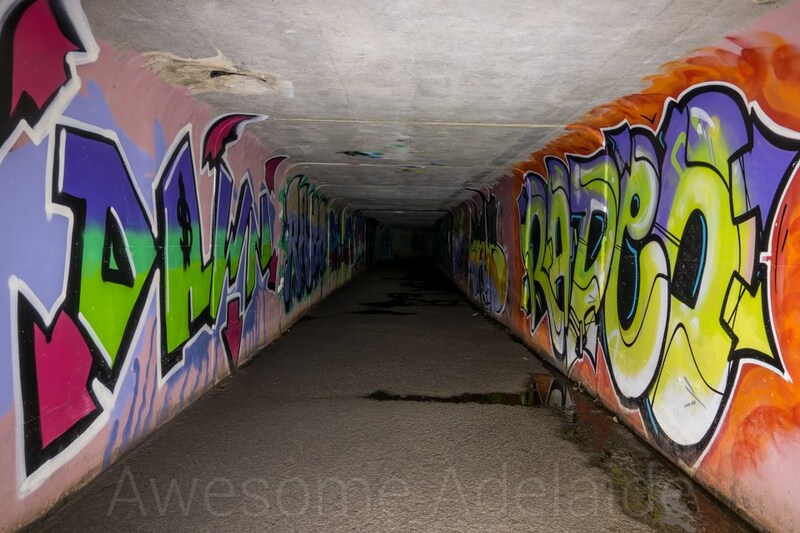 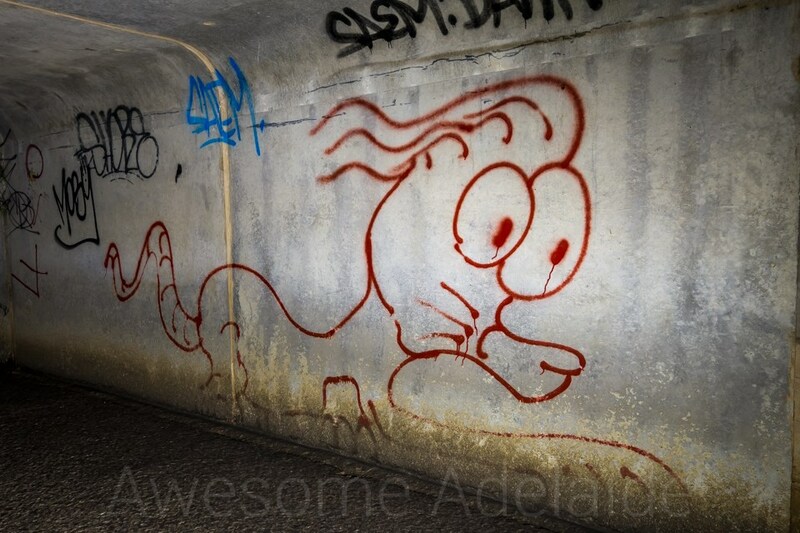 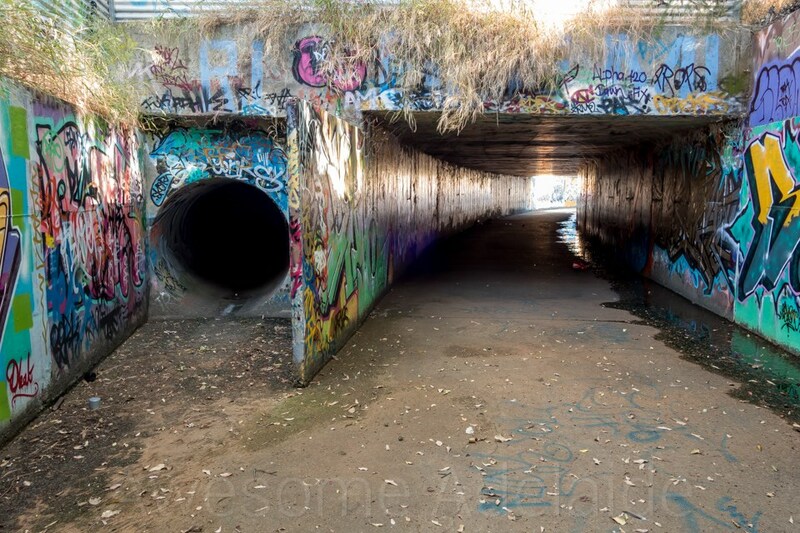 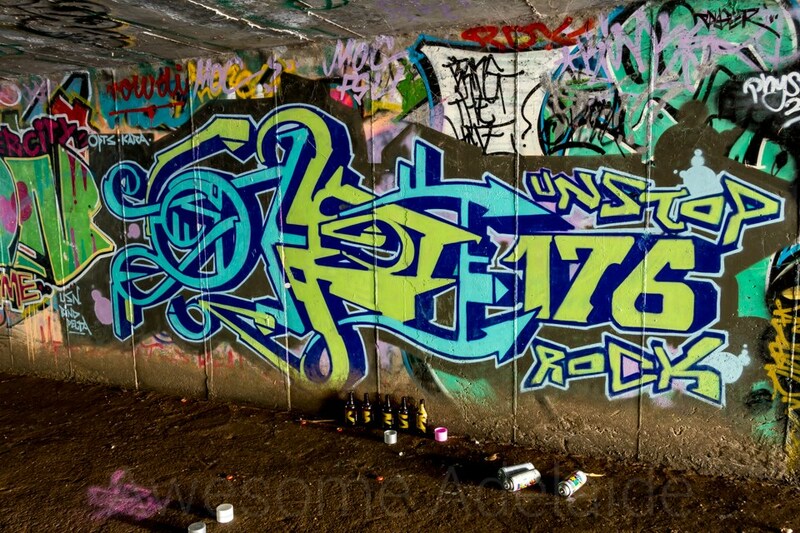 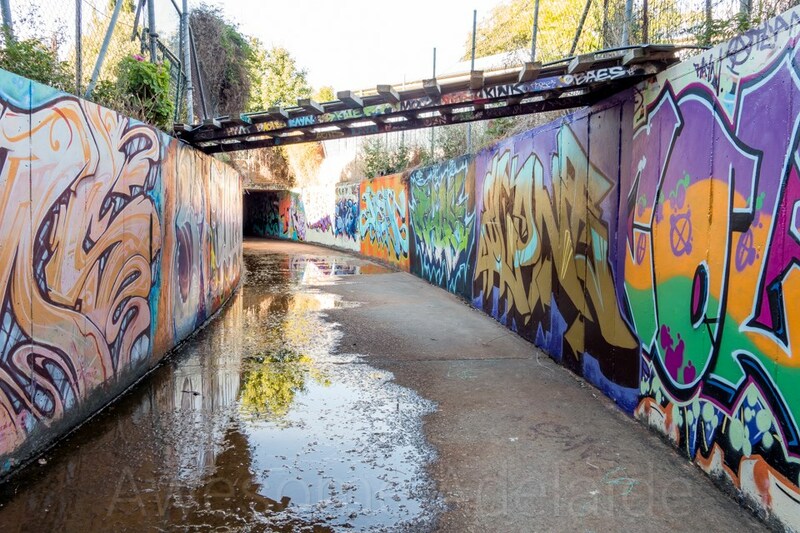 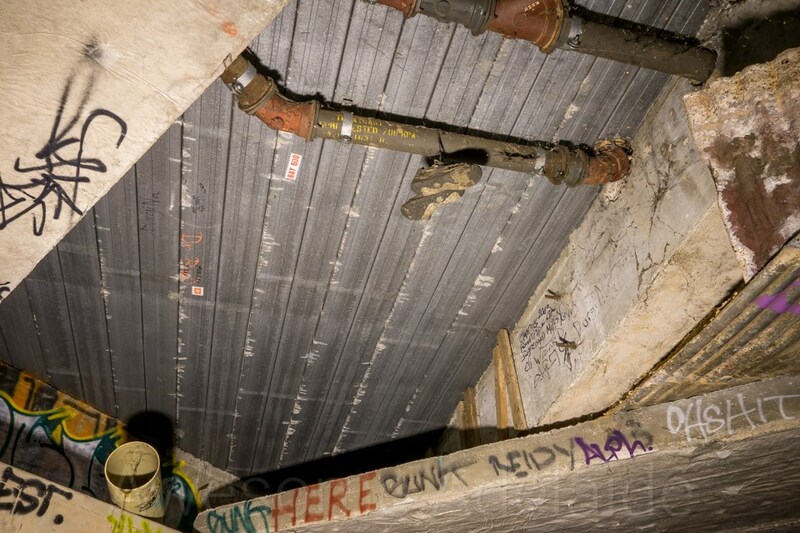 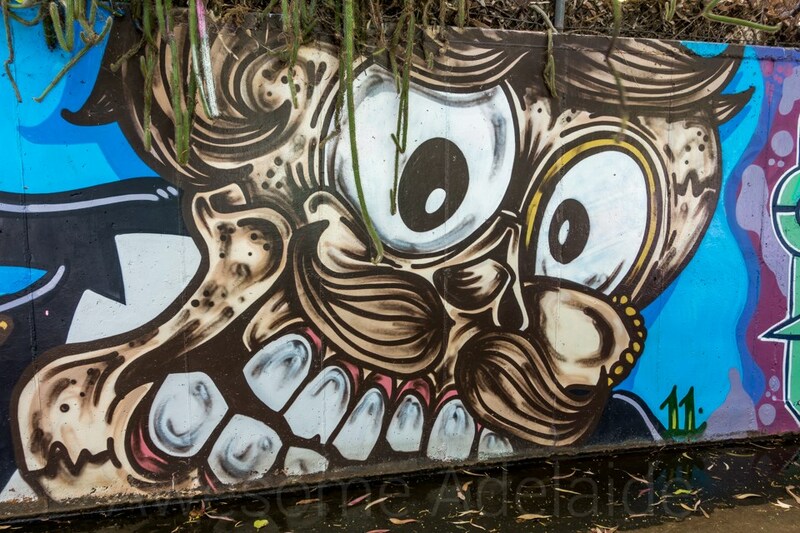 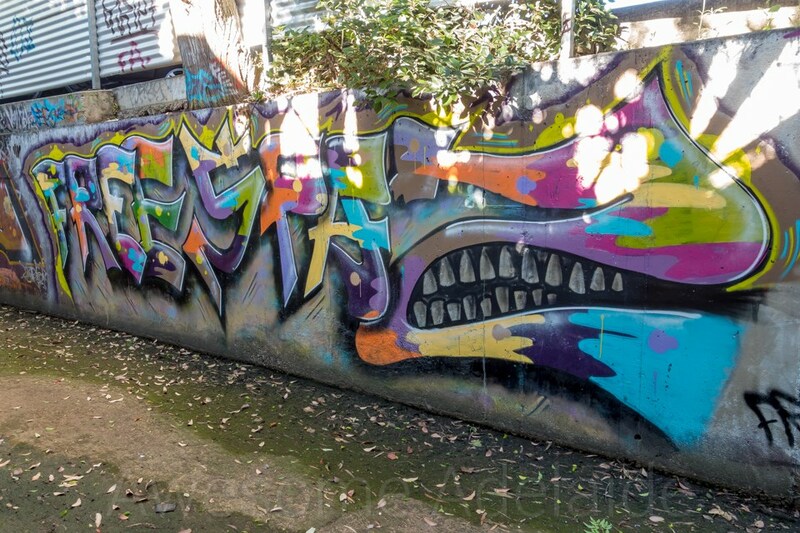 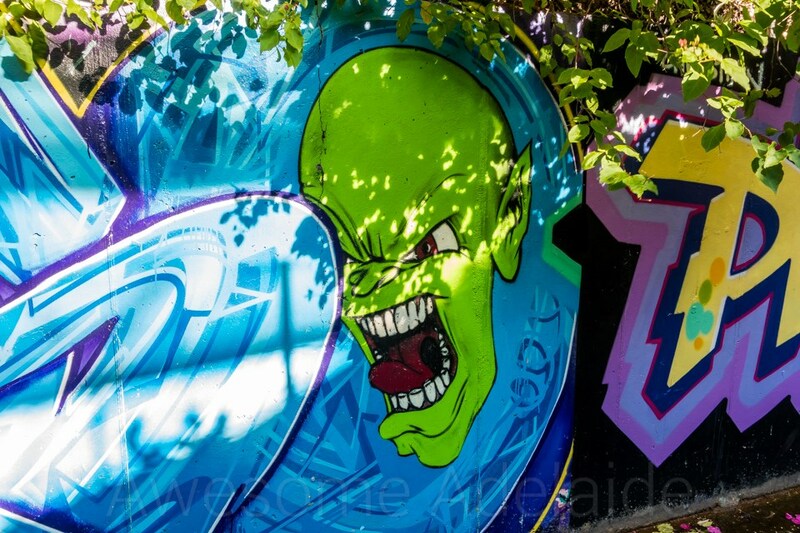 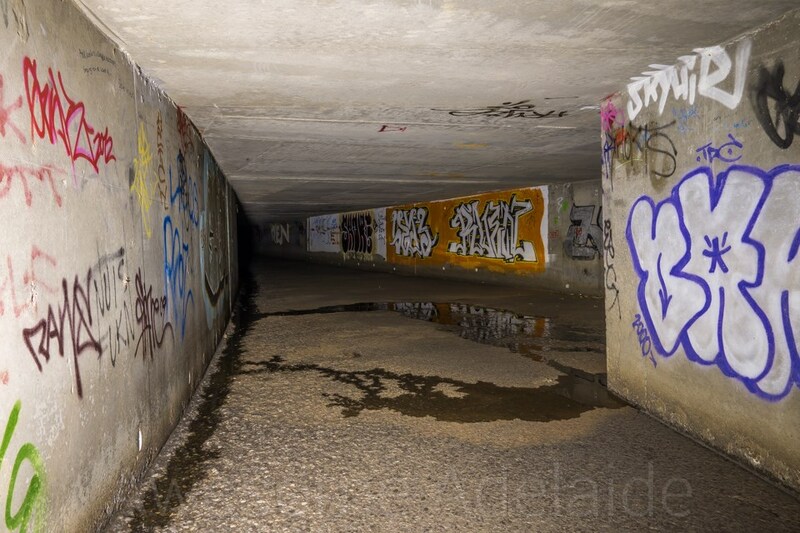 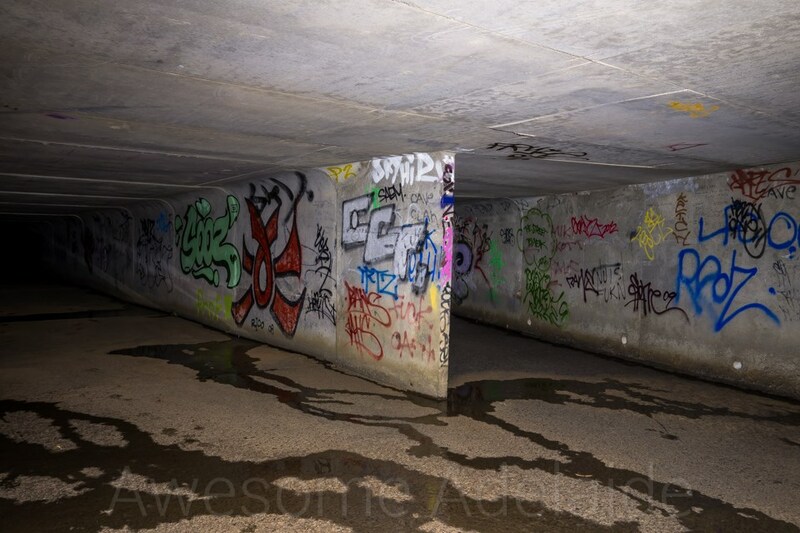 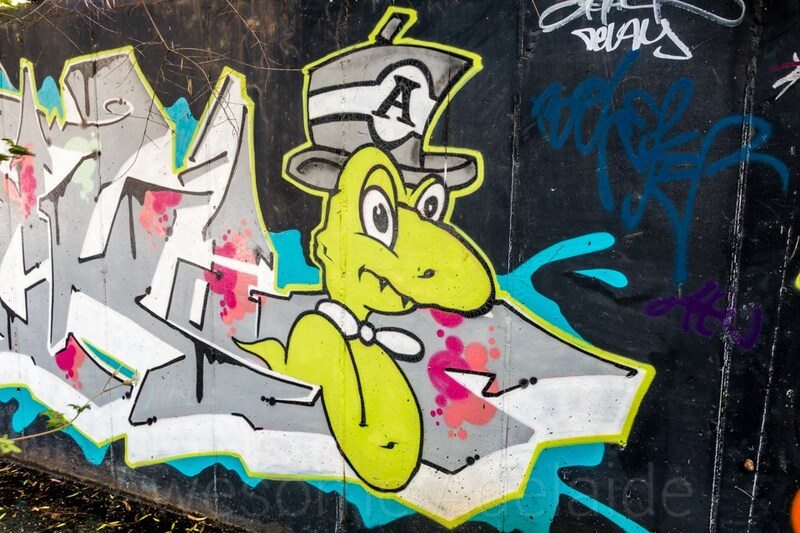 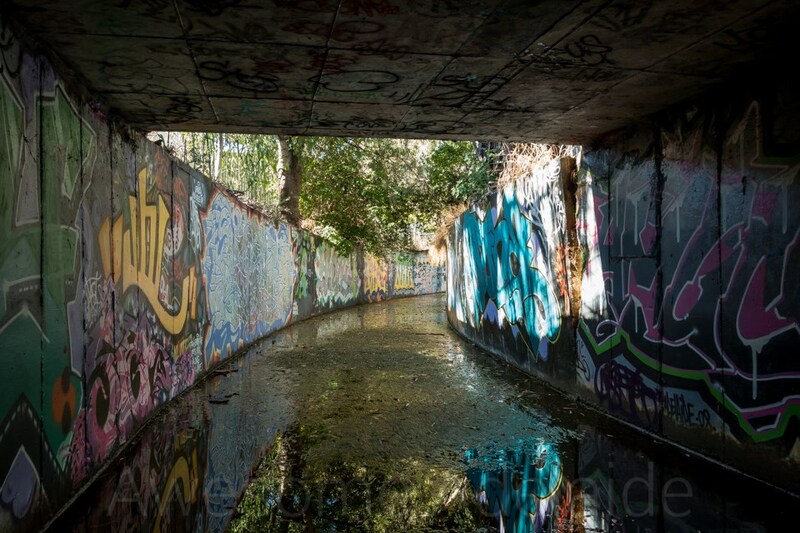 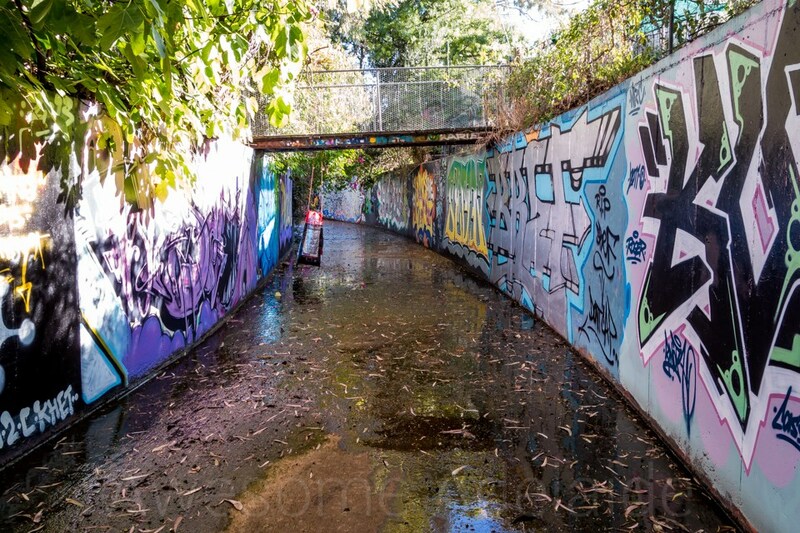 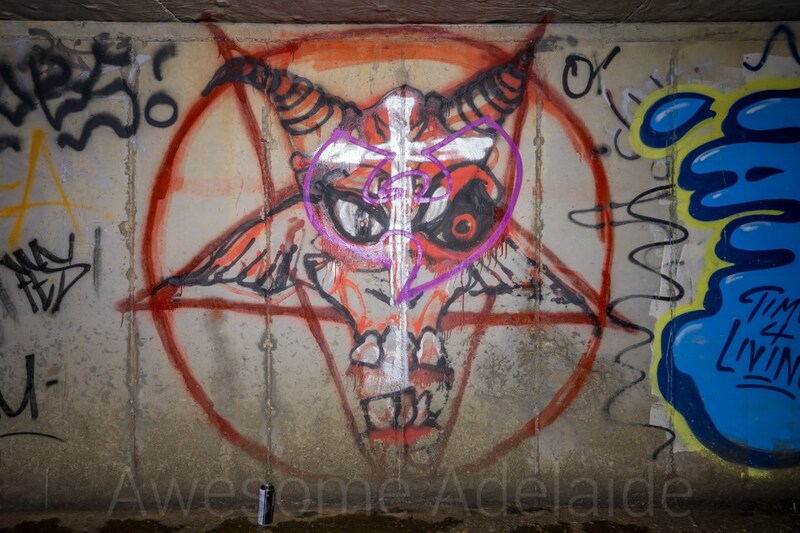 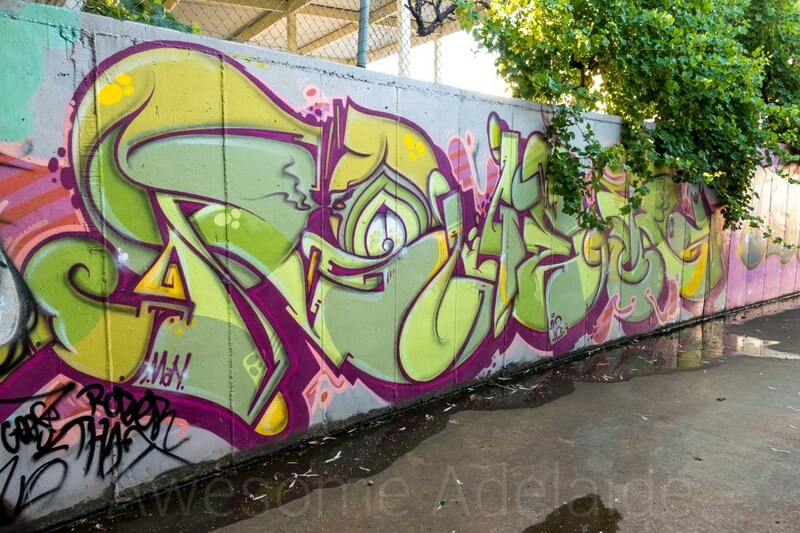 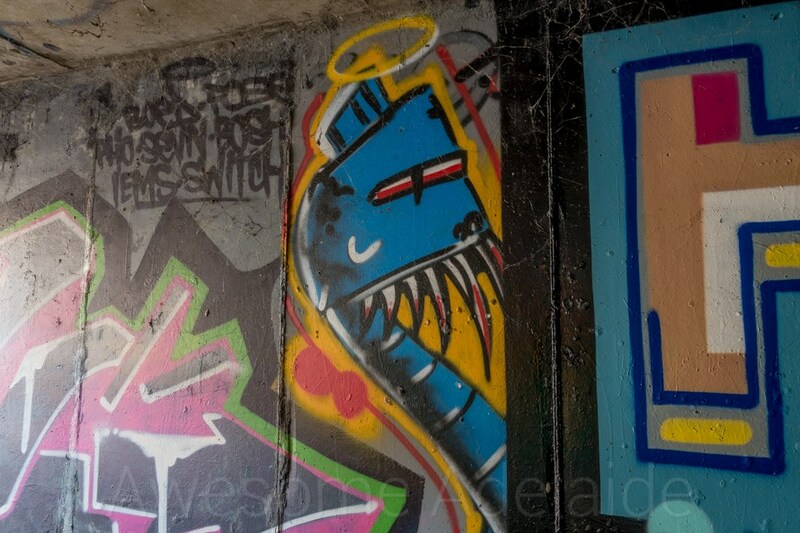 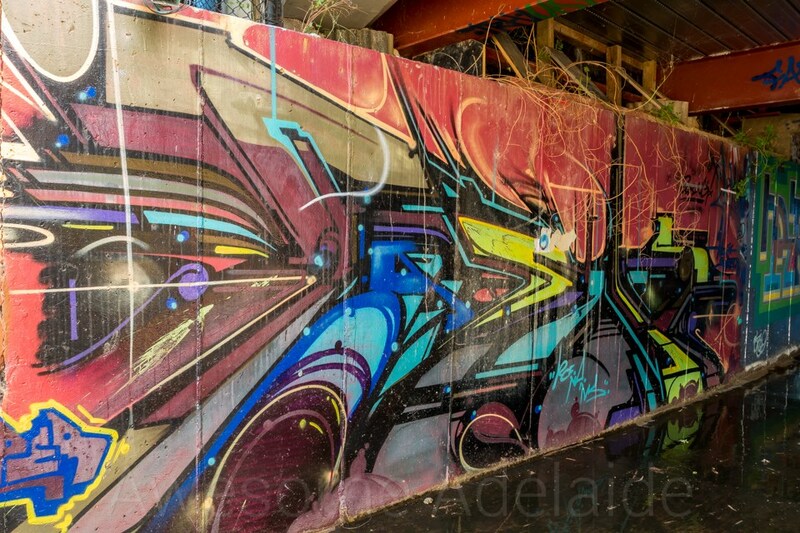 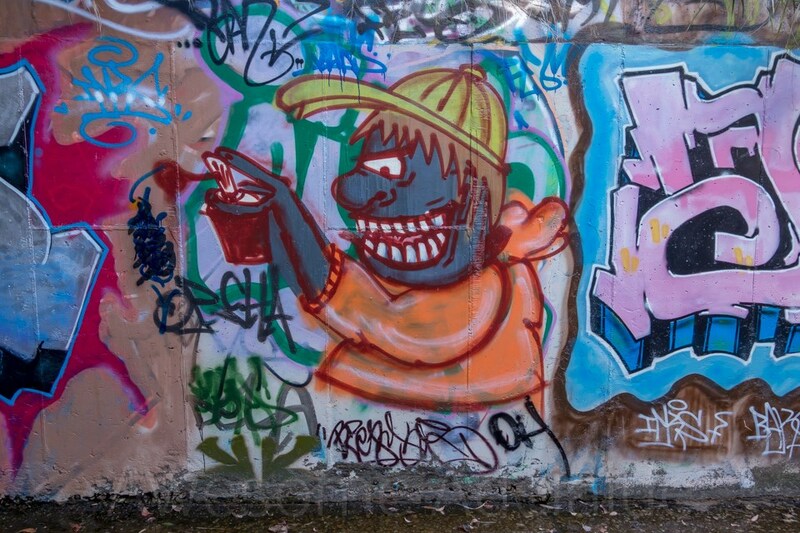 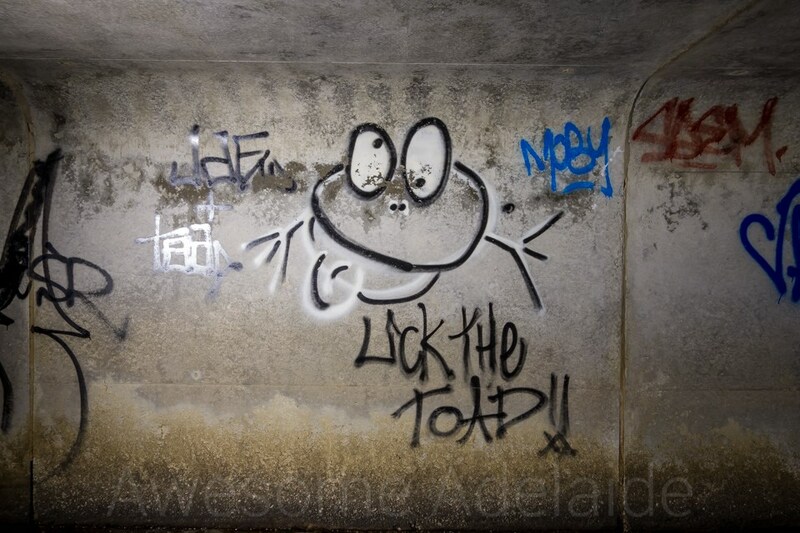 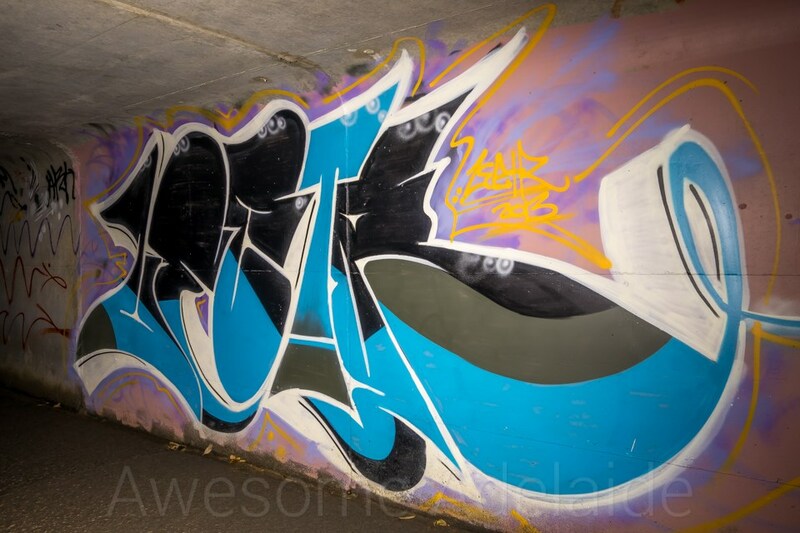 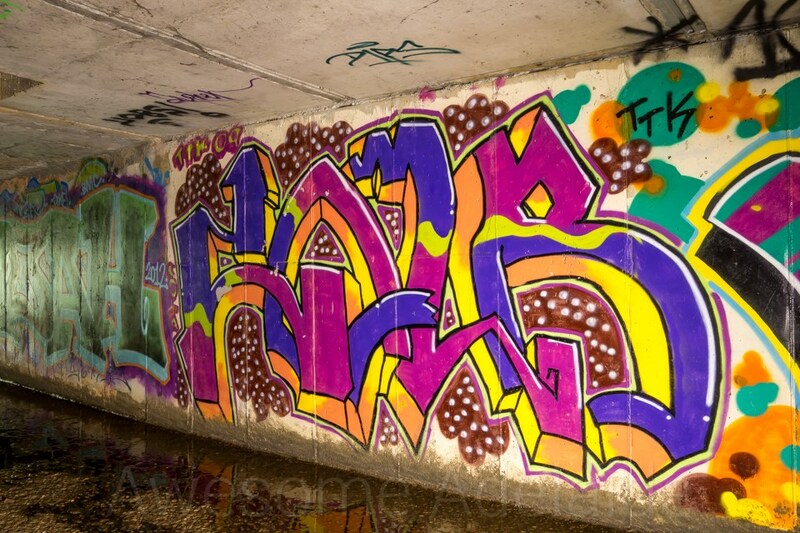 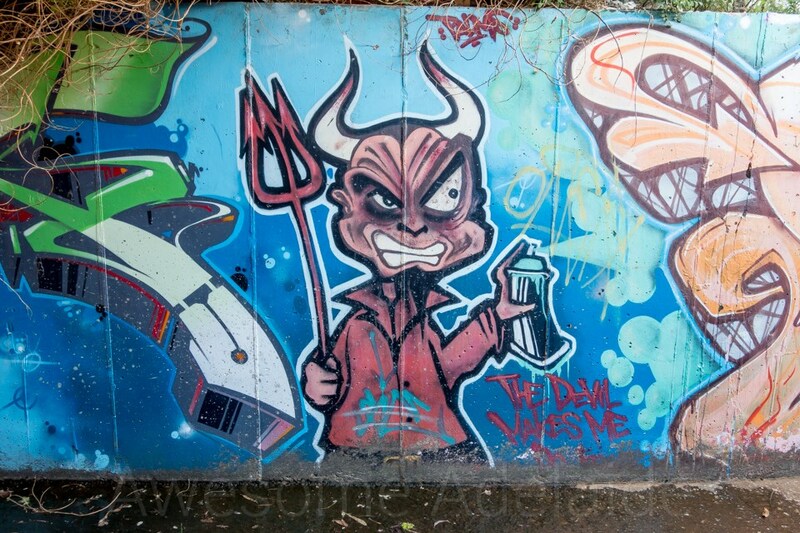 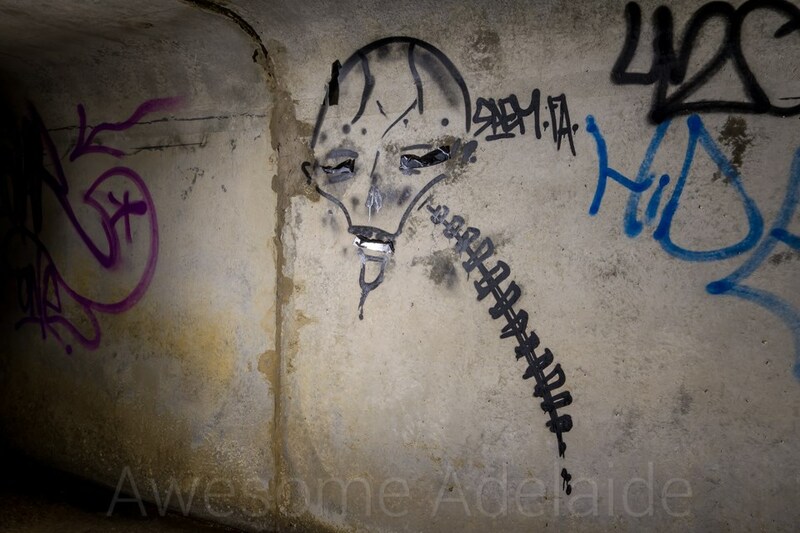 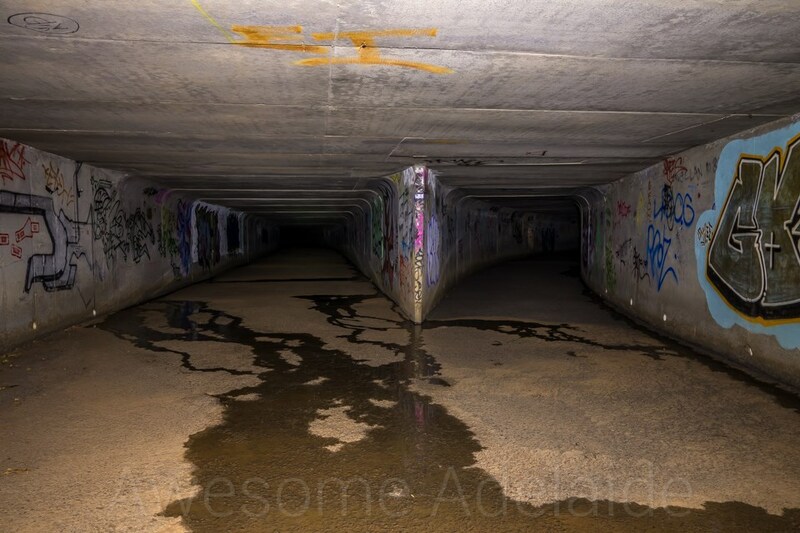 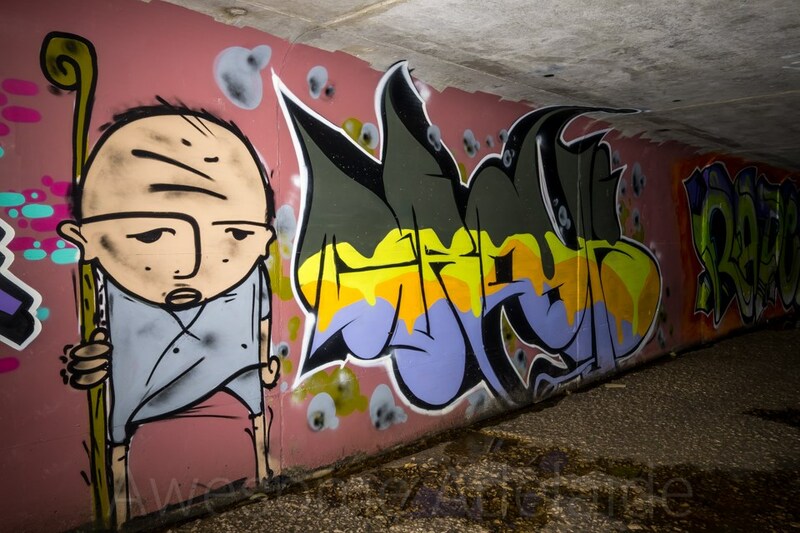 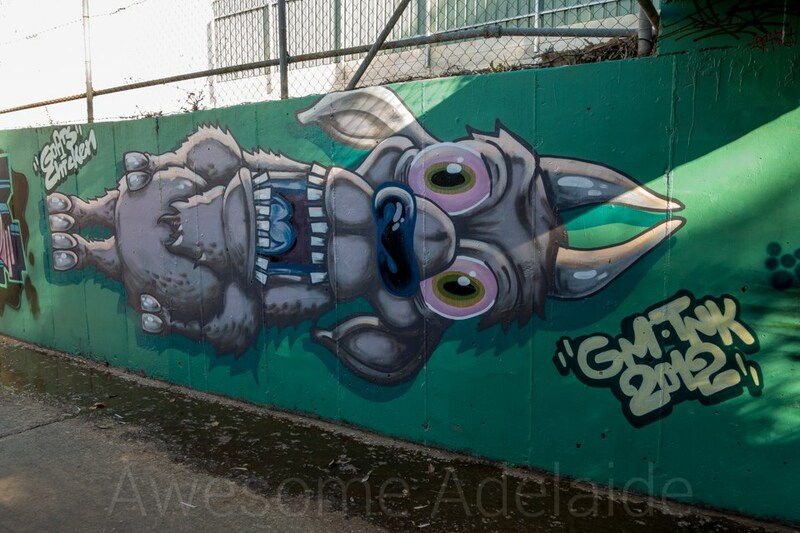 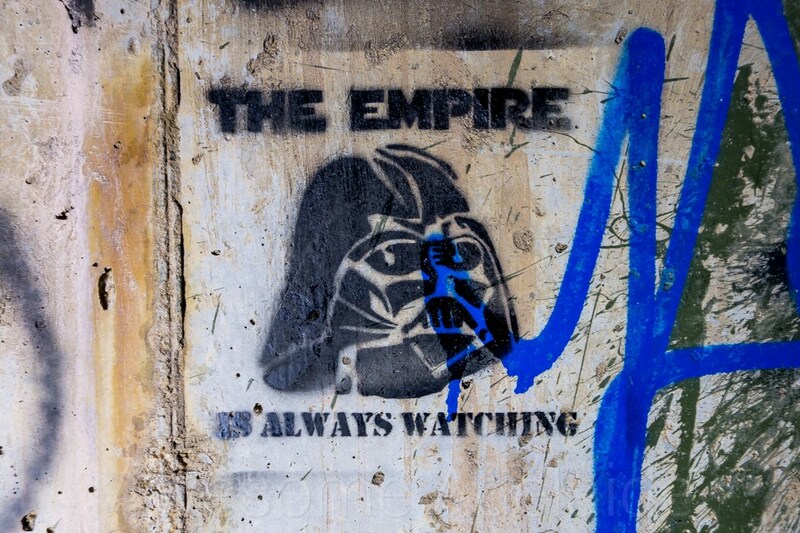 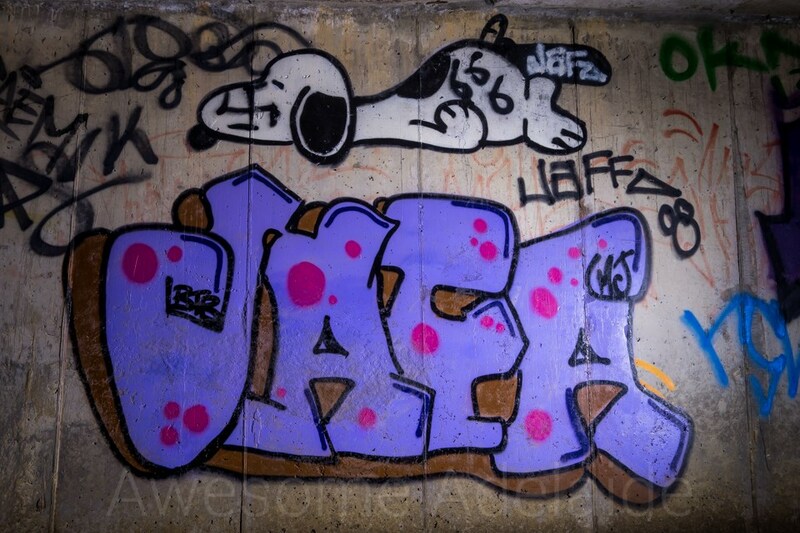 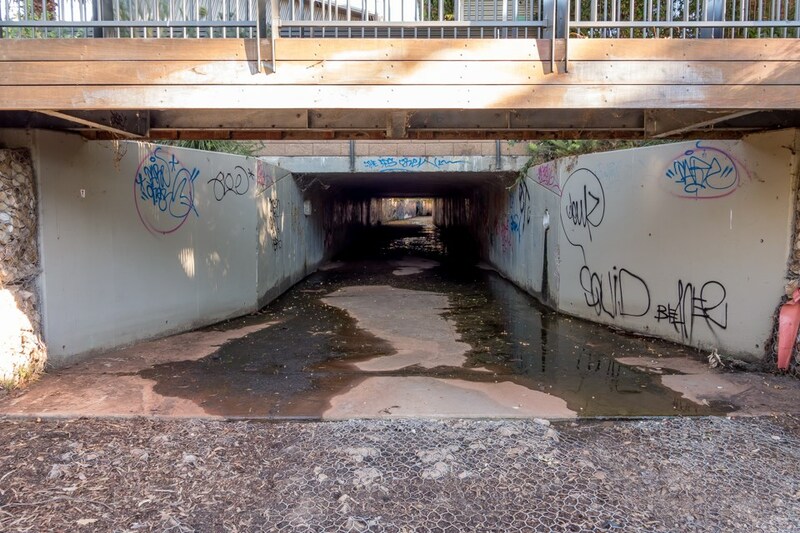 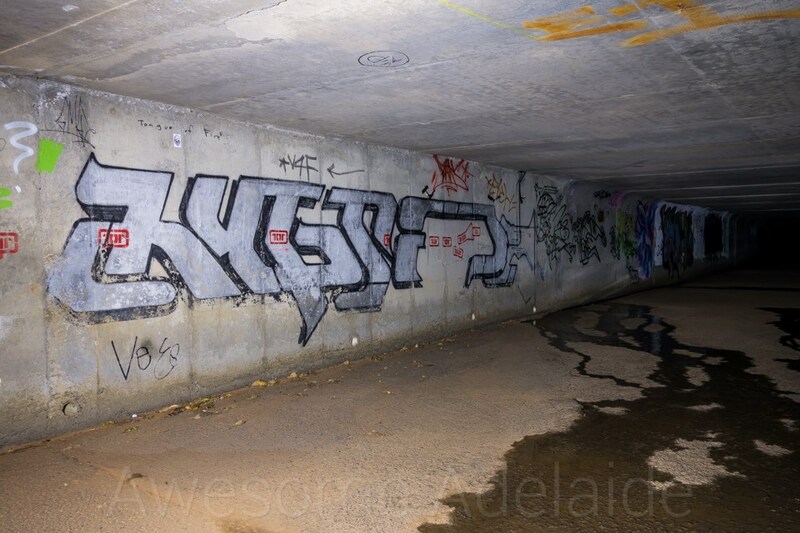 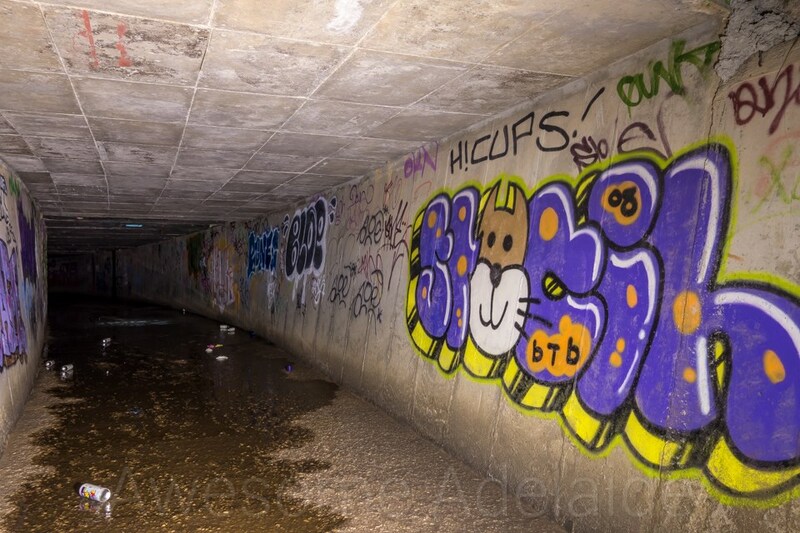 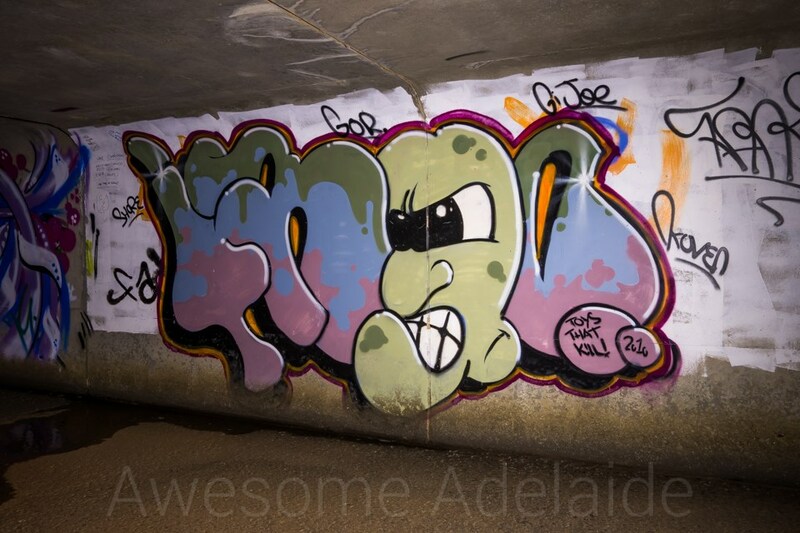 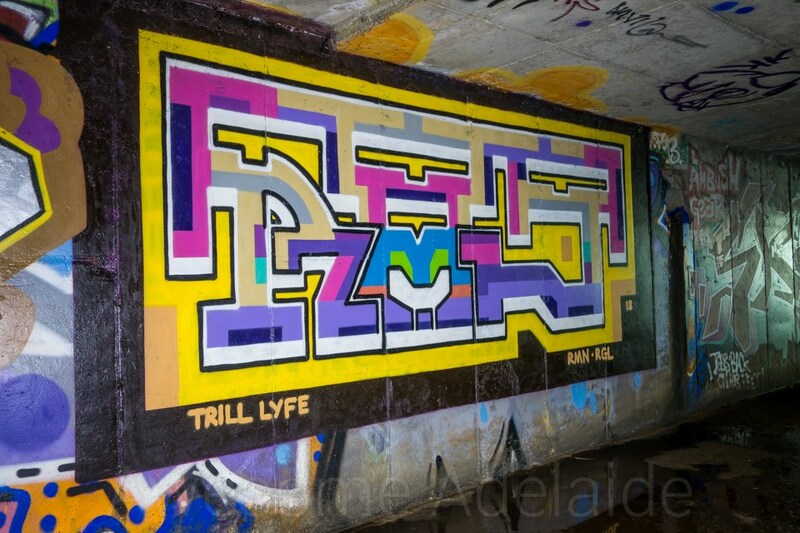 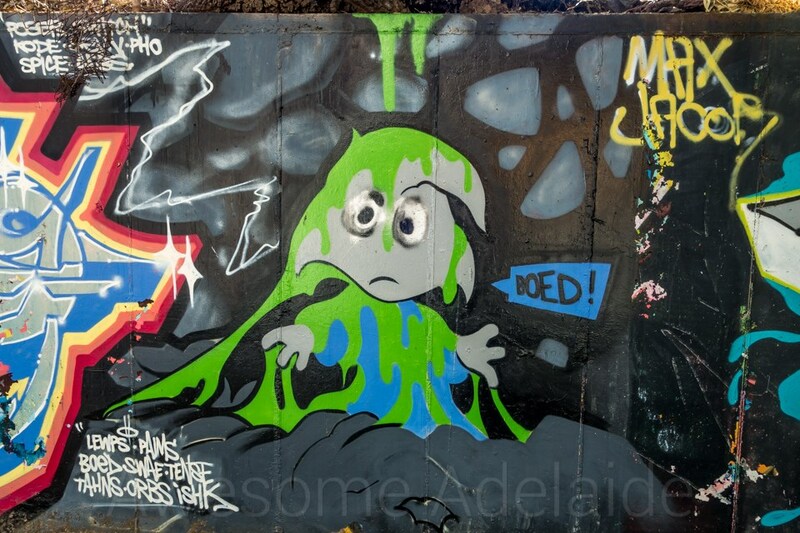 Possibly Adelaide’s most decorated tunnels, Zorgas Tomb is painted with well over 200 graffiti and street artworks. 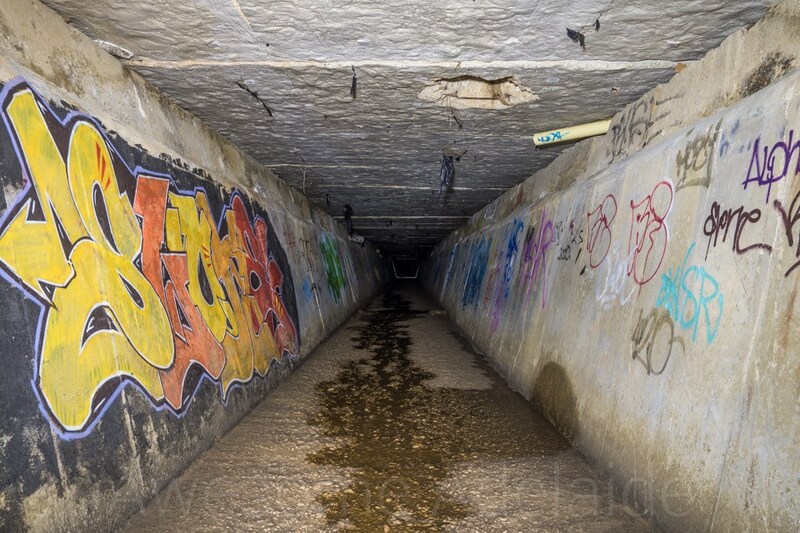 About 800m in is a large junction — take the right most fork. 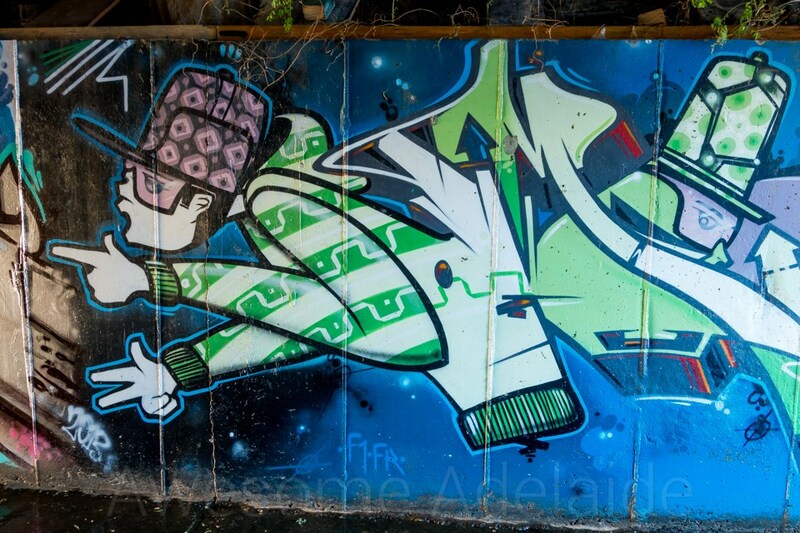 Continuing on it turns into a back-breaker. 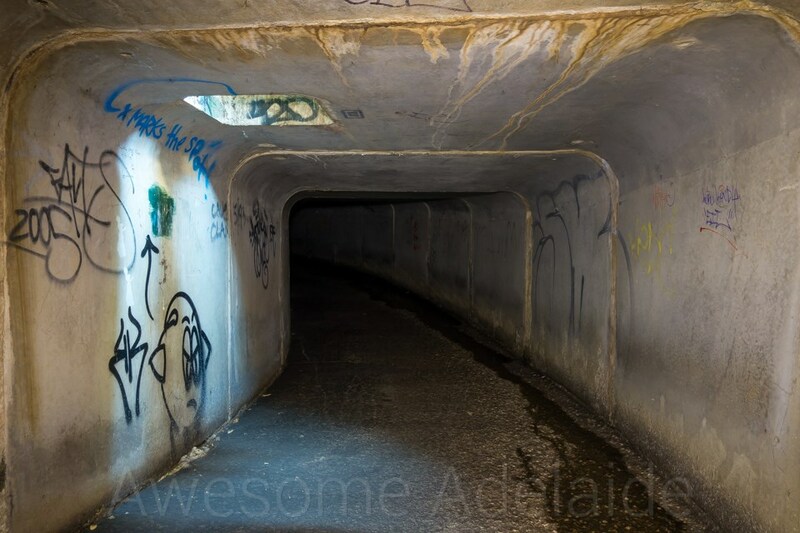 You may choose to turn back here but for those more adventurous; you’ll get to see where it ends.